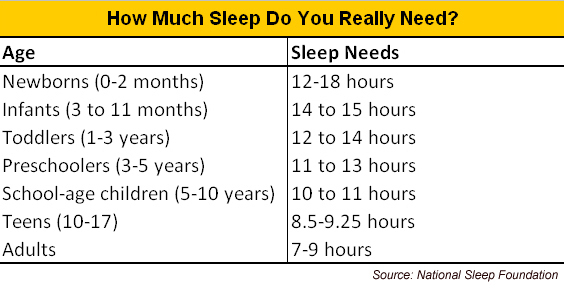 Most people, including parents and medical and mental health professionals, do not realize how important sleep is. I am often told that “He’s never been a good sleeper” or “She doesn’t seem to need as much sleep.” It is true that there is some variability in how much sleep everyone needs, but not that much. While many parents believe that it is not a big deal that their child is not a “good sleeper,” they are often unaware of the detrimental effects of sleep deprivation on children. Not only does sleep impact an infant’s and child’s ability to meet developmental milestones, but it also impacts their cognitive abilities, behavior, mood/affect, learning, and health. The symptoms of sleep disorders are most often misdiagnosed as ADHD, Learning Disabilities, and Depression, when in fact the problem is insufficient sleep due to a variety of reasons. In very basic terms, basically anything that prevents an infant or child from getting enough sleep is considered a sleep disorder. This can include delaying bedtime (one more book, one more drink of water, etc. ), nighttime wakings, early morning wakings, or a variety of nighttime disturbances (night terrors, sleep walking, etc.). Most interventions to help children (and as a result parents) sleep more involve parent training as parents are the ones who shape a child’s sleep habits. It is unbelievable that approximately 40% of children have a sleep disorder… so if this includes your child, you are not alone! Stay tuned for more information on prevention, interventions and basic facts about sleep for kids.